BOSTON - Jan. 4, 2019 - PRLog -- Whether you are escaping disagreeable weather, or searching for unique experiences, Tourico Vacations is here to unveil the best dream destinations for every month in 2019. January is the best time of year to experience Colorado's ski resorts, the Philippines' annual "authentic Ati-Atihan Festival honoring Sannto Niño (Infant Jesus), and China's Harbin International Ice and Snow Festival. In February, Venice, Italy's Carnevale, Taiwan's Beehive and Pingxi Sky Festivals, and Hong Kong's incredible Chinese New Year celebrations all take center stage. From New Orleans' Mardi Gras and India's vibrant Holi celebrations, to Rio De Janeiro's Carnival and Ireland's St. Patrick's Day festivities, March is a truly exciting time of year. April is when spring peaks around the world. Keukenhof, Netherlands boasts Europe's largest garden while Tokyo, Japan celebrates the blooming of its world-renowned cherry blossom trees. If flowers aren't enough, Penang, Malaysia is "considered one of the best destinations for street food in Asia – and arguably the world." May offers both domestic and international opportunities. Asheville, North Carolina's LEAF Festival and Montford Music and Arts Festival draw in countless tourists, as does Tibet's infamous Saga Dawa Festival. If you prefer to avoid crowds, May is also the best time to visit Bali, Indonesia. June is all about sunshine, and there's no better way to celebrate it than by experiencing blue hours and midnight suns in Alaska, Denmark, or Iceland; partaking in solstice celebrations in Machu Picchu or Cusco; and enjoying nonstop fiestas in Spain. If you like the heat, July is the perfect time to enjoy world-class recreation in Boquete, Panama. If you'd rather escape it, Mongolia's inland Naadam Festival and Bristol, Rhode Island's timeless Fourth of July festivities are each impeccable options. August is the perfect time of year to witness the Great Migration in Kenya's Maasai Mara National Reserve, swim with stingless jellyfish in Indonesia, and have tons of tomatoes thrown at you in Buñol, Spain's La Tomatina Festival. September is the perfect time of year for whale watching in Western Cape, South Africa, tidal wave viewing in China, and visiting the Grand Canyon. October is best experienced in Germany. From Oktoberfest, to the Ludwigsburg Pumpkin Festival, to one-of-a-kind Halloween celebrations at Frankenstein's Castle – Germany simply can't be beat. 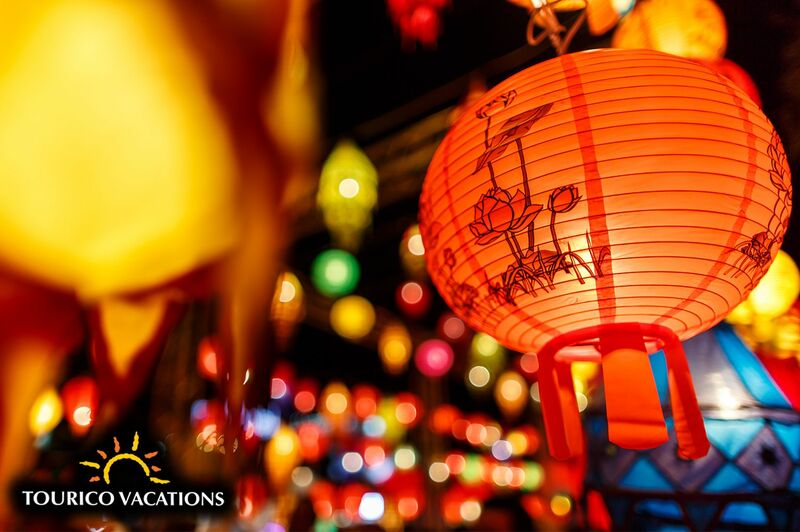 November is the only time of year travelers can witness the Loi Krathong lantern festival in Chiang Mai, Thailand, the coral spawn at the Great Barrier Reef, or the exclusive celebration of death in Mexico. December is the best time of year to take advantage of Europe's numerous Christmas Markets, Hong Kong's Winterfest, and Tasmania, Australia's perfectly temperate weather. Tourico Vacations is an online booking engine offering customers insider prices on over 16,000 hotels, 2,000 cruise itineraries, flights, car rentals, vacation packages, and attractions worldwide. Tourico Vacations also offers Condos, European and American homes, with over 4,500 luxury vacation condos available by the week. Tourico Vacations is an exclusive "Members Only" travel site that allows for incredible savings on a variety of domestic and international travel experiences. Becoming a member of Tourico Vacations allows travelers to explore all the best destinations, as well as enjoy reliable personal concierge services and members-only access to timeshares, vacation homes, high-end resorts, world-famous attractions, and more. From all-inclusive cruises, to luxury hotel stays, Tourico Vacations' proprietary technology enables us to offer an outstanding array of convenient online travel services for every type of adventurer.